This random act of kindness was captured on camera by Jennifer Foster, an Arizona tourist. 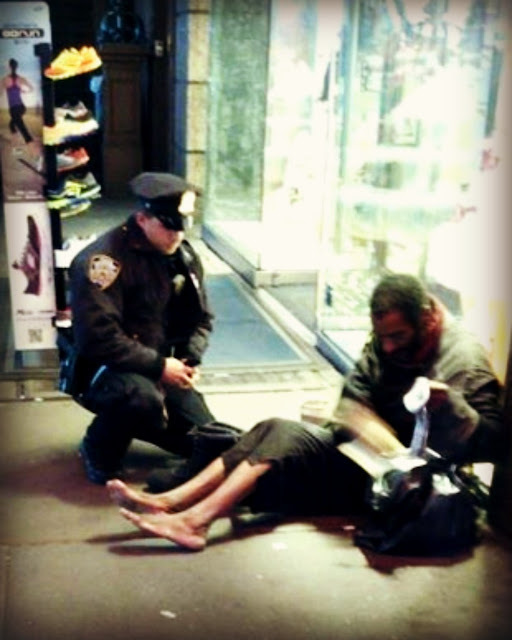 A photo of a New York City police officer kneeling down to give a barefoot homeless man in Times Square a pair of boots on a cold November night. "It was freezing out, and you could see the blisters on the man's feet, said DePrimo, a three-year veteran of the department. This is just a reminder to all of us. Kindness is something we can all share. It costs nothing, but the rewards is more than money can buy. Christmas is soon here. Remember there are so many less fortunate than us. Let's take a moment to give thanks for what we have and to share our "riches" with the less fortunate. Arvid and I are fortunate to have enough. 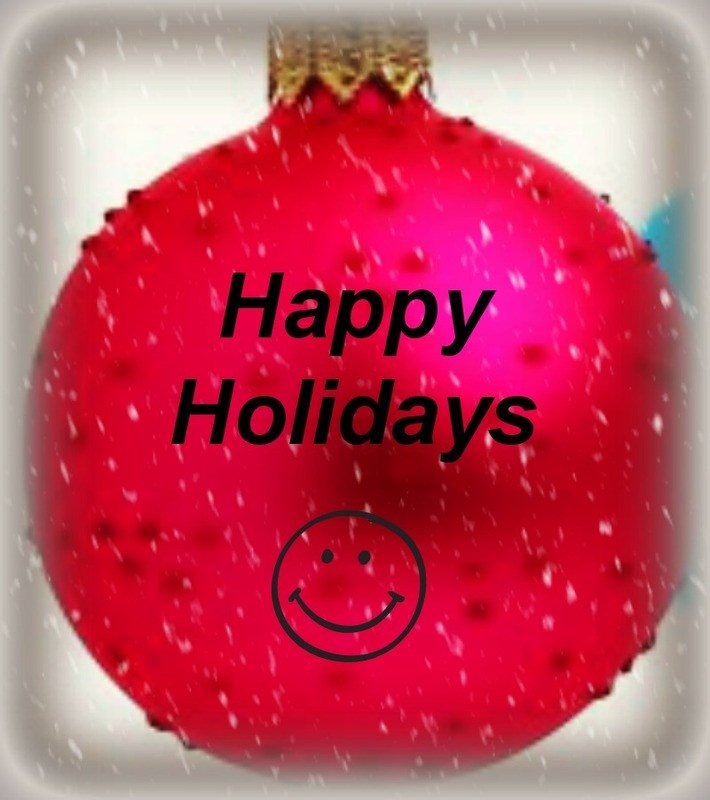 Growing up neither of us had much so we understand how during the holidays it can be really tough for families. We try to do our part by giving to different charities. Most are for the children and one of our favorite is St. Jude's. There are many other ways to help. The Animal shelter is also a favorite of mine and we are regularly donating food and clothing for those in need. We try and rather than sell our items we give it to those less fortunate. if you have clothes you do not need. Give it to someone who does. The few dollars you get from it will just be gone withing minutes, but for someone in need this is a life saver. 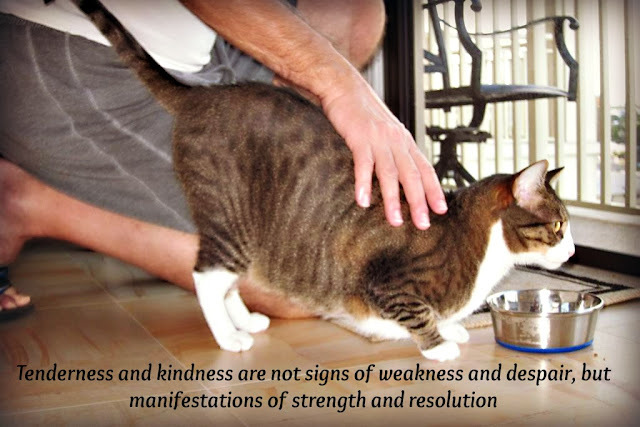 Kindness, there can never be too much in this world.